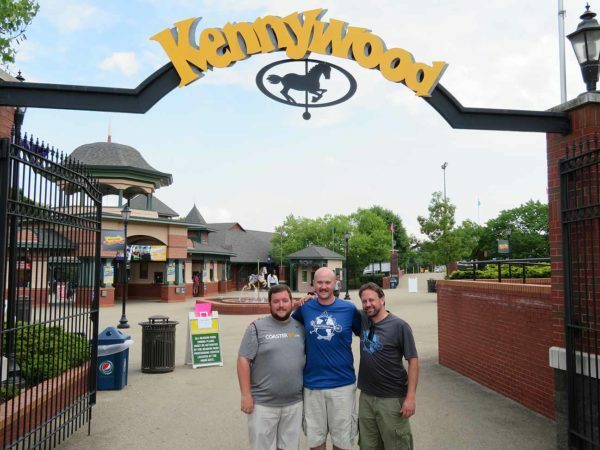 Following a trip that saw six members of the Coaster101 team get together at Cedar Point’s CoasterMania, three members of the Coaster101 team headed east to West Mifflin, PA and Kennywood for a day at the park. 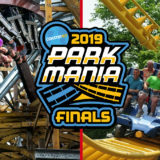 Originally opened in 1899 as a “Trolley Park,” Kennywood is one of only two amusement parks designated as a national historic landmark for its rides and history. Sunday’s visit was the first visit for Coaster101 Writers Andrew and Eric, and the first in over a decade for Kyle. Here are some of our thoughts about the trip. 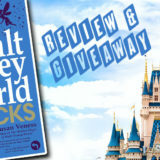 What were your first impressions upon entering the park? Kyle: I had been to Kennywood before, but it was nearly 13 years ago. So, I was excited to see what things looked like now and what things I had remembered. The first thing I noticed was how compact the park is. Being 12 the last time I was there, I guess made the park feel a lot bigger than it actually is. Andrew: Honestly, I knew very little about Kennywood before arriving, and wasn’t entirely sure what to expect. When we got there, I thought it was pretty unique that the park offered both a “free” and a “paid” parking option. Even at $7, that charge to park closer to the main gate is dirt cheap compared to a lot of the big corporate parks. The park’s sits in a pretty industrial area, and there were a lot of warehouses in the vicinity, but I enjoyed the views of both Sky Rocket and Phantom’s Revenge from the parking lot. Eric: Like Andrew, I had basically no idea what to expect (except some good old coasters). Coming to the park after being at Cedar Point the previous two days, it definitely struck me as feeling compact. Much quieter, smaller, and easy to get around. Is “cozy” a dumb word for an amusement park? I think it was the mix of trees and small flat rides upon entering that gave that impression. And yeah, the free/cheap parking was awesome. 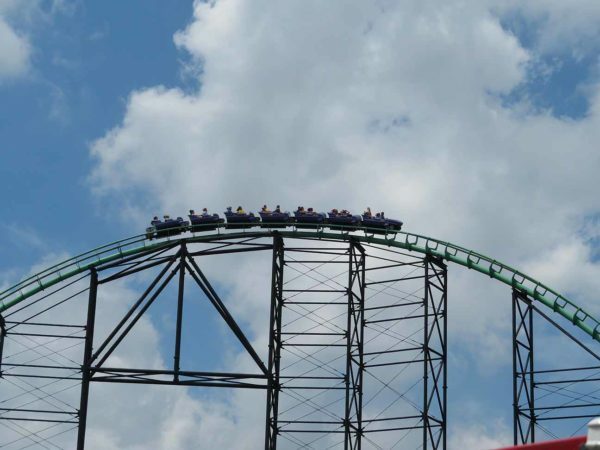 What did you think of Kennywood’s roller coaster line up? Andrew: I’m not sure I’ve ever seen a gap between opening dates of operating roller coasters like exists at Kennywood. Their three wooden coasters all originally opened in 1920, 1924, and 1927. (Though with Thunderbolt in its current version officially opening in 1968, I guess there’s some room for debate here). All four of their current steel coasters opened in 1991 or later. I know there were roller coasters that opened/closed inside that time span, but for there to be a 90-year age difference between your “oldest” and “youngest” operating coasters is something that’s pretty unique. 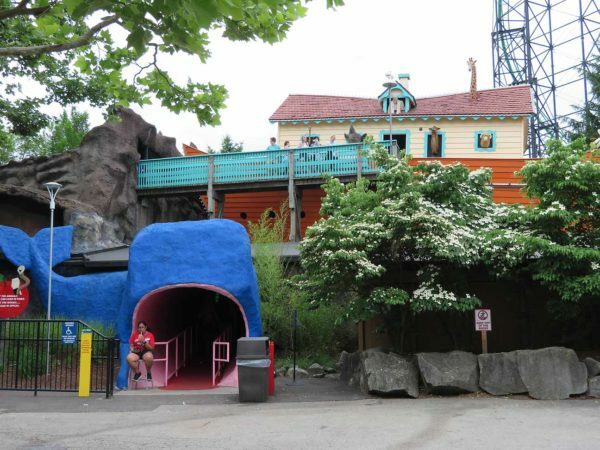 With Sky Rocket closed, we rode the other six (or seven, depending on how you count your credits) coasters at Kennywood, including Lil’ Phantom, the park’s Molina & Sons kiddie coaster. I think they’ve got a good mix of wood and steel coasters at Kennywood. The three wooden coasters were solid, Phantom’s Revenge was good, and Exterminator was maybe the best Wild Mouse of any coaster I’ve ever been on…and Lil’ Phantom accommodated three adults sans children, so I’ll chalk that one up in the “win” column for Kennywood as well as my personal coaster count. Kyle: Kennywood, for the size of the park, has a killer line-up, whether it be old, new, or odd, they have it. I love a modern steel coaster as much as the next guy, but I often find myself having more fun on old woodies. And since that is the case, I love Kennywood. 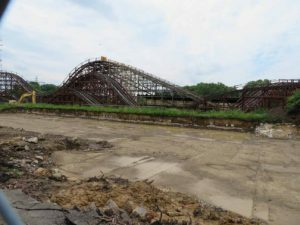 They have done a remarkable job keeping up their three wooden coasters, even upgrading the seats, like Andrew said, on Jack Rabbit. They all had the “rickety” feel without the roughness you experience quite often on unmaintained woodies. 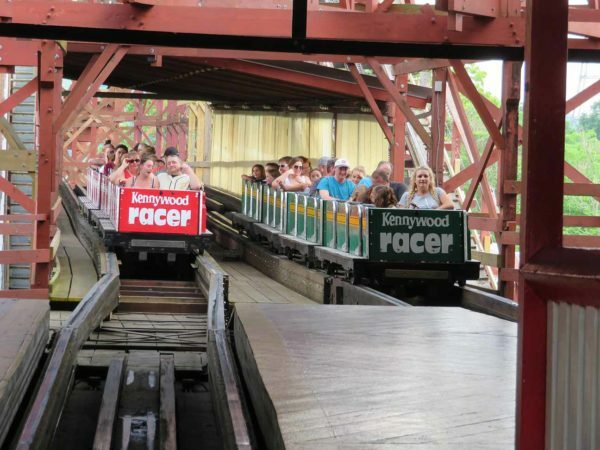 Eric: I’m a pretty big fan of wooden coasters, and my experience with coasters built in the 1920s has pretty much always been positive, so I love the fact that Kennywood leans so heavily to that end of the coaster spectrum. I’ve definitely never been to a park that can claim such a solid lineup of historic roller coasters. 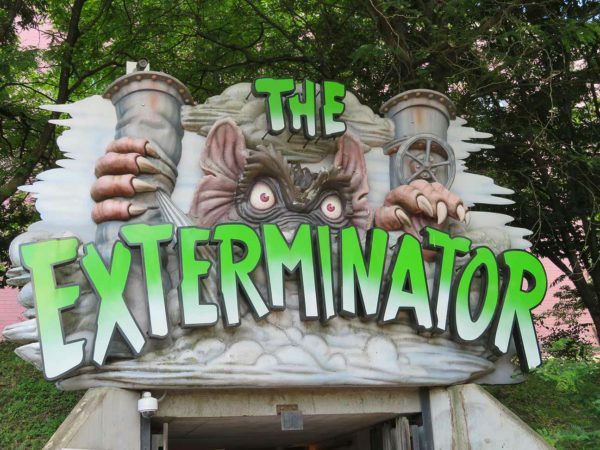 Then along with that, just like Andrew said, Exterminator was maybe the best Wild Mouse type coaster I’ve ever been on (why aren’t there more Reverchon Spinning coasters in the US??? 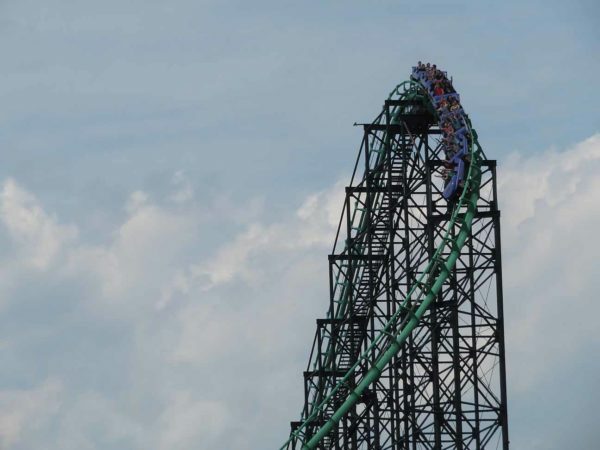 ), and Phantom’s Revenge is a top notch steel coaster. It’s rare that a park with more than one or two roller coasters has a lineup where I’d happily take multiple rides on every one, but Kennywood managed to achieve it. Every coaster there I would at least call “good”, and the best part is that they’re all completely unique rides. Not just custom layouts, but with rare and unusual elements (like Phantoms second drop being extra long, Thunderbolt’s mid-course lift hill, Jack Rabbits double down, etc.). For a coaster fan, it really makes Kennywood stand out from most parks. 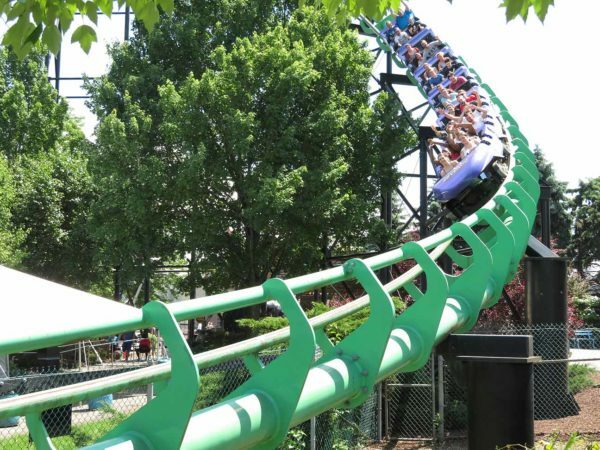 Which coaster at Kennywood was your favorite? Kyle: I think I will go with Thunderbolt. The roller coasters that stand out to me the most are the ones that are totally unique to the park they are in. Today we have so many clone coasters and not as many coasters being built into their environments. Thunderbolt looks like it grew out of the West Mifflin hillside. Some parts of the track are overgrown with grass and you think to yourself “how are we not going to bottom out on this?” From the get-go this coaster is one-of-a-kind; it immediately drops you into a ravine out of the station. The views are also incredible from Thunderbolt, you can look left down into the valley and river below or right and get a great view of the park. 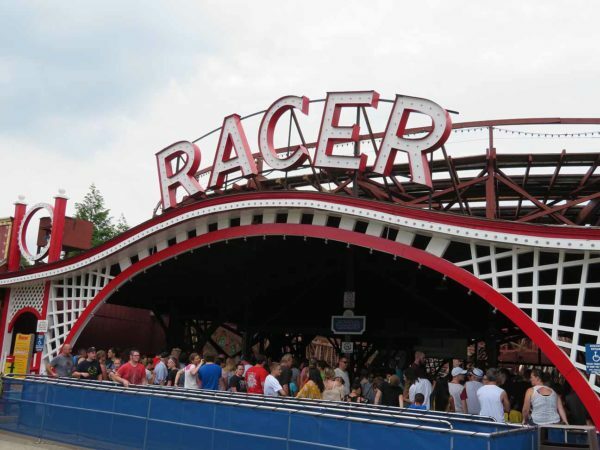 Andrew: I’ve got to go with the oldest roller coaster at Kennywood for this; Jack Rabbit. At 98 years young, this roller coaster featured some of the most comfortable trains I’ve ever sat in, and the amount of air time that was caught in the back few rows over the post-lift hill “double down” was absurd. I LOVED this ride. 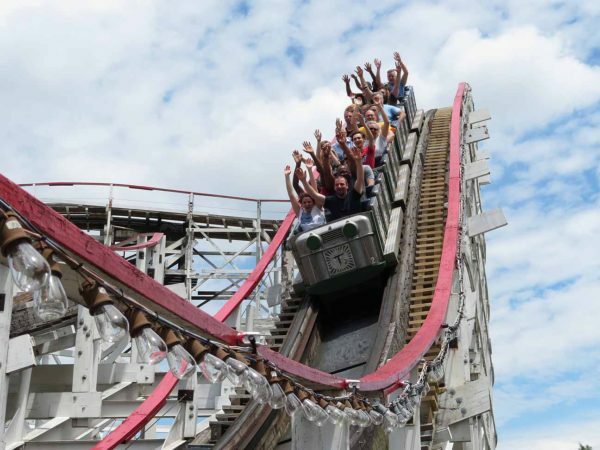 It’s easy to see why it’s been in the top 50 of Amusement Today’s wooden roller coasters every year since 1998. Eric: Remember how I said all of the coasters were good and all of them were unique? That makes it really hard to choose a favorite. I think I could easily make an argument for Thunderbolt, Phantom’s Revenge, or Jack Rabbit. But, if I was at the park and could only ride one thing, I’d probably join Andrew and say Jack Rabbit. The restraints (or lack of, it’s just a seatbelt and a bar that doesn’t actually come down and is really just there to hold on to) just give it such an unrestricted feeling. The double dip is the only time on a coaster where it’s really felt like I should probably hold on to the bar. Modern coasters might throw you up into the restraints, but Jack Rabbit actually throws you up out of the car. It’s awesome. I do want to give an extra shout to Phantom’s Revenge, though, since we didn’t talk about it much. It is a really good coaster. The trains were really comfortable, and it also had several insane air moments (and positive Gs). At one point with my hands up I got lifted out of the seat, then thrown back down into my seat so much my hands slapped the front of the car. Nuts. It’d get my second place vote, I think. What about non-coaster attractions? Did anything stand out? Andrew: The longest line we waited in all day was for Garfield’s Nightmare, which may be one of my favorite dark rides of all time, even if its in an ironic sense. 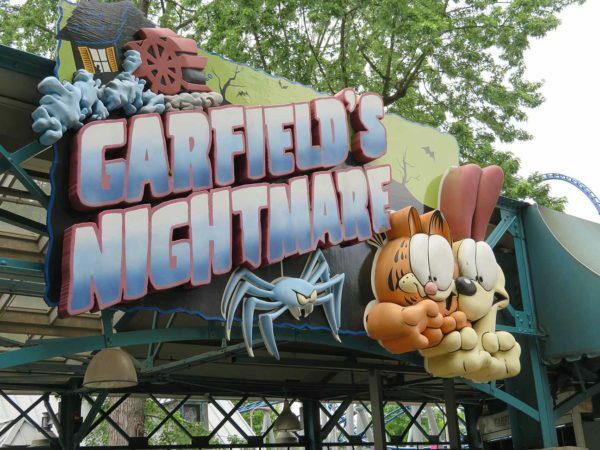 It was a boat ride in wooden boats where you floated around various Garfield comic strips and how they related to the cartoon cat’s nightmares in larger show scenes. It’s rare that I leave a dark ride with a sense of “Wait, what just happened?” but I definitely felt that with Garfield’s Nightmare. One thing I’ll note is that while they gave us 3-D Glasses, I decided to experience the ride without them. They weren’t super necessary. 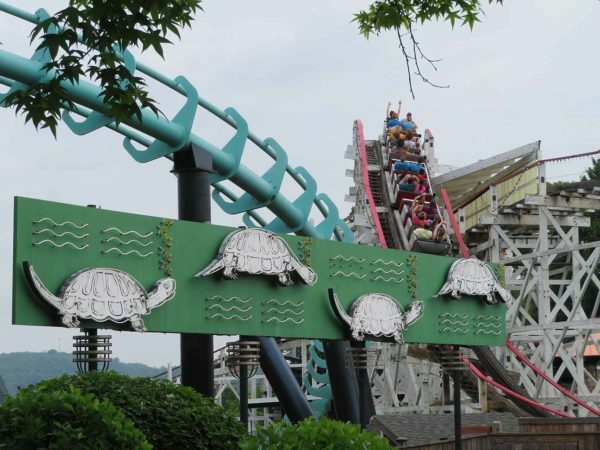 I do wish we had a little bit more time, because I would have loved to taken rides on Kennywood’s classic Turtle and Kangaroo flat rides. Eric: I loved getting to ride on my first full size “Whip”, what a fun flat! And, like Andrew, I’m sad we had to run to catch a flight so I couldn’t get on the Kangaroo or Turtle (next time!). It’s great that the park is preserving old time flat rides along with their old coasters. 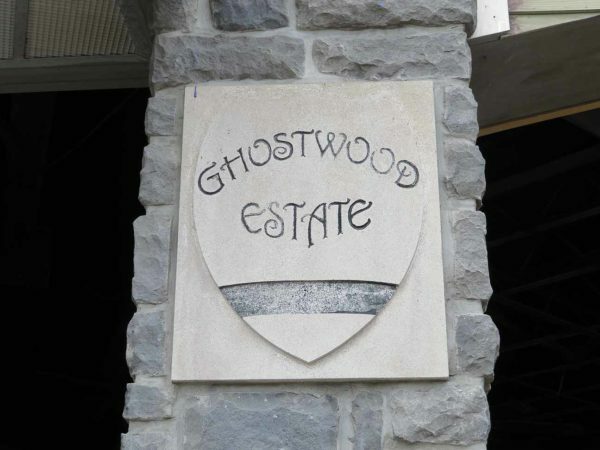 But, I think the one that surprised me most was the Ghostwood Estate dark ride. I was expecting a “Boo Blasters”-type dark ride, but it very different. It’s like a shooting gallery, with every target causing a pop-out kind of thing. The prop skeletons and ghosts were actually really well done, and the intro video was solid. Like the coasters, it’s a unique, custom ride (built partly by ETF Ride Systems, best known in the US for Midway Mania). Plus, trackless rides are always neat. Kyle: Noah’s Ark. This one eluded me on my previous trip. This is as classic, a classic walk through you can find. You enter through a giant whale’s mouth and then find your way around many dark and sometimes lit passages. The length of the walk through really surprised me, it was almost twice as long as I expected. There are moving floors and a whole boat section that actually rocks back and forth. Sure, this attraction is old and you can tell – but that is what makes it so great and enjoyable. We all tried Kennywood’s famous “Potato Patch” Fries. Did they live up to the hype? Kyle: From what I remembered, the fries weren’t that good, but I was eager to give them another chance (because why not eat more fries?). Like Andrew said, they are solid amusement park fries. Eric and I went with gravy, nacho cheese and seasoned salt. I agree that additional gravy would’ve been nice. I will say that Kennywood’s food service workers (shout out to you 13 year old fry cook) were working harder and more efficient that anybody we had encountered our previous two days and the fries were HOT! Andrew: I thought the fries were good. I went with just Brown Gravy as the topping, and thought they could have used a little more, but I definitely think that the Potato Patch fries are some of the better theme park fries I’ve ever had. Eric: I liked Andrew’s description of our gravy/cheese sauce combo as “Pennsylvania Poutine”. As fries go, they were solid enough. Good potato flavor, and like Kyle said they were hot and came out quickly, which is all I ask, really. I would definitely get them as a snack (or meal) again. Specify extra gravy and you’re good to go. What are your thoughts on Kennywood’s “VIP Coaster Tour” Wristband? Was it worth the money? Kyle: Definitely worth it, and will do it again! Even with lines only being 30-45 minutes around the park, being able to just skip that and spend our time doing something else was valuable, especially when you’re not spending the whole day at the park. Eric: Very early in the day lines were super short, so I was skeptical of the worth. But by noon with lines getting bigger (and ops kind of slow) it was great to be able to go straight to the front, and except on Phantom we could choose our seats. It gives the option to wait in line for the flat and dark rides, without worrying about missing any coasters. That was great for a time constrained, non-local, visitor. And if you think about how much cheaper entry and parking are compared to many parks, it’s still probably cheaper total even with the wrist band. 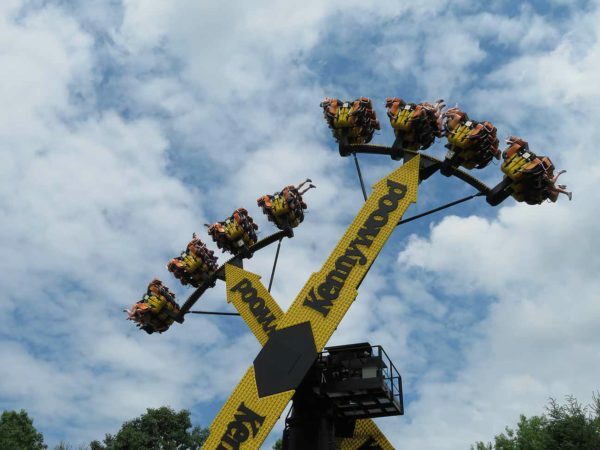 Do you have any final thoughts on Kennywood? Eric: A very solid park for coaster fans, especially if you like historic rides. I was impressed by how good the roller coaster lineup was. Any park with six fun coasters is worth a trip. I definitely want to get back someday to ride Sky Rocket and check out the historic flats we missed. And yes, definitely nice having a park with that many coasters that still feels small and easy to get around! 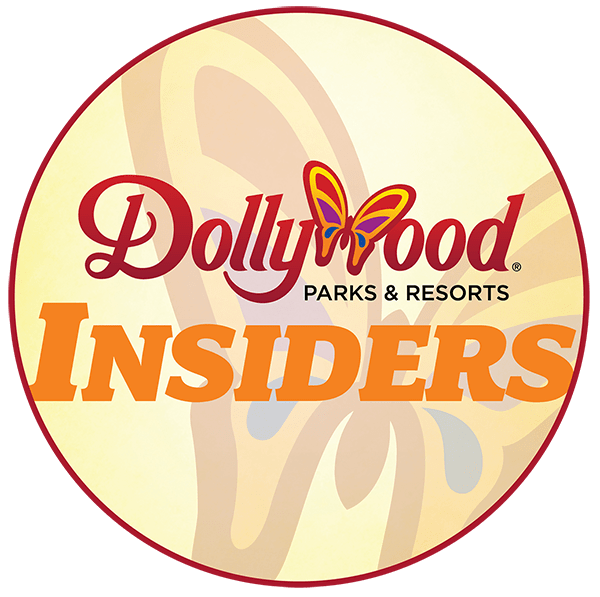 Andrew: Like I mentioned earlier, I didn’t have many expectations for Kennywood — not a good or a bad statement, just had no idea what to expect, really. I was surprised at how much I enjoyed myself at the park. After several days at Cedar Point (where I logged probably close to 55,000 steps in a day and a half), it was nice not to have to hike long distances between attractions. 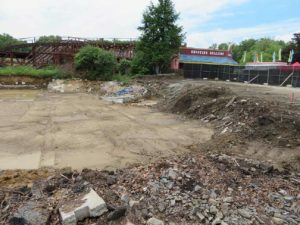 I definitely want to make a return trip in the near future, not only to ride Sky Rocket, but to see what ends up being constructed in the area where Kennywood’s Log Jammer used to reside. Kyle: I can’t wait to go back. Kennywood is just a fun park. It is easy to get around, the prices are good and the rides are high quality. I also still need to get the elusive Sky Rocket credit and come back to take my son to the new Thomas the Tank Engine land that is set to open this summer. It looks like it is going to be a very immersive area with some cute rides and theming. We had a blast at Kennywood. For more information, be sure to visit the park’s website, and follow them on Facebook and Twitter.